So much to read and so little time. After all, there are meals to prepare, Maisie to walk, Sweet William to look after, and people to enjoy. And I do love my people. But when I can, I like to read a variety of books. With some, I wonder why I bothered when the words become disagreeable and/or plain boring, yet the perfectionist in me commands me to finish. Occasionally, I’ve disregarded that overachiever voice and closed the cover. My current reading is disturbing. The author writes about surviving church, remaining a believer in spite of those who fill sanctuaries. It’s about Christians who don’t really act like Christians. They are more like legalist; prosecutor, judge and jury; critic; hater of the sin and the sinner too. Sadly, I am convicted by the descriptions. I have been them. Examining Jesus words and actions, recorded in the Gospels, I see something completely different. He loved the unlovely and touched the untouchable. He did not condemn but called for disciples. He offered forgiveness to the worst offender. He showed compassion for the masses and the individual. He was merciful and full of grace. And yet the truth He declared was lightning-bolt startling, like no other. He spoke with the authority of the I Am, asking His followers to take up the cross and walk with Him. He called His friends to an impossibly high standard. How do I achieve the law of love Jesus commanded? How can I be holy like the Father is holy? I cannot. Nor can anyone else. And therein lies the lavish gift of grace. For he chose us in him before the creation of the world to be holy and blameless in his sight. In love he predestined us to be adopted as sons [and daughters] through Jesus Christ, in accordance with his pleasure and will— to the praise of his glorious grace, which he has freely given us in the One he loves. By trusting Christ to be my Savior and Lord, He calls me holy and blameless. Holy and Blameless! This is outrageous. Scandalous. Shocking. Is he talking about me? This beauty in which I am clothed is through Jesus Christ. It is God’s pleasure and will. It is to the praise of His glorious grace. It is freely given in the One He loves. This is the amazing grace of God. Its extravagance invites me into communion with Christ, Him living through me, loving others in a way I could not on my own. His strength empowers me to be the person I was created to be. Through Him, I will not just call myself a Christian, I will live like one. Today I defer to Oswald Chambers whose words about the cross of Christ stagger me. His depth and wisdom about the event that impacted all of eternity are enough today. Stand in awe at the price God paid for the redemption of your soul. The Cross of Jesus is the revelation of God’s judgment on sin. Never tolerate the idea of martyrdom about the Cross of Jesus Christ. The Cross was a superb triumph in which the foundations of hell were shaken. There is nothing more certain in Time or Eternity than what Jesus Christ did on the Cross. He switched the whole of the human race back into a right relationship with God. He made Redemption the basis of human life, that is, He made a way for every son of man to get into communion with God. The centre of salvation is the Cross of Jesus, and the reason it is so easy to obtain salvation is because it cost God so much. The Cross is the point where God and sinful man merge with a crash and the way to life is opened—but the crash is on the heart of God. The men who had walked with Him for three years had never seen Jesus shrink in fear. He had faced down the Pharisees and teachers of the law. He spoke with an authority that shocked and amazed people. He had no fear of wind and storm or the demonic living in graveyards. How could He, the Son of God, be afraid? Yet, that is how it appears, at least in the movie. Already Jesus seems to feel the weight of sin-soaked humanity, blood-thick sweat revealing His battles to do the will of God. Satan appears, offering Him an easier way, a way out of the suffering that Jesus knows is ahead of Him. I’ve heard people say they’ve never seen the movie, can’t stand to watch the graphic display of the life nearly beaten out of Jesus, the blood and gore of it. The movie’s R-rating is well deserved. While my body physically reacts to the movie every single time, I need to watch it, need to be reminded. I need to get a picture of how much God loved me that He would allow His Son to pay such a high price. I can only do it once a year, but once a year I must. During Lent, aren’t we supposed to reflect on Jesus’ 40 days in the wilderness while fasting and praying before His public ministry begins. Aren’t we to be reminded of His suffering for us? Aren’t we to consider the great cost of our salvation? So we give up caffeinated drinks, certain activities, and Snicker’s bars. Yeah, we’re really suffering here. As I reflect on the nightly news, Christians around the world being martyred and persecuted, I wonder if I can even identify with real suffering? I am not acquainted with true persecution. What will happen when I am? What will my response be when questioned “Are you a Christian?” with a gun pointed at my face or a blade ready to sever my head from my body? In the movie, after the garden prayer, the scene changes. 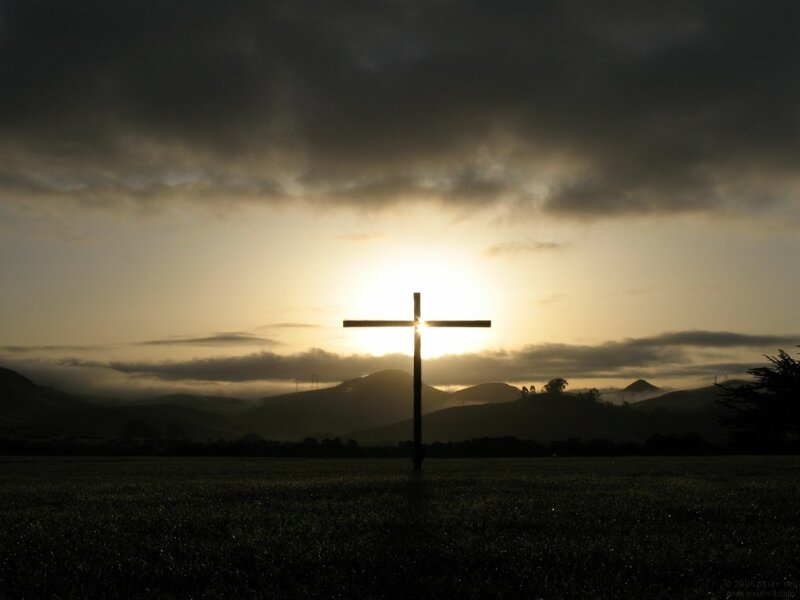 Jesus stands resolute, his gaze fixed upon the cross that will come. His crushing blow to the head of the serpent demonstrates a triumphant act of courage and determination. The Son of God, the Darling of Heaven, the very Word who was in the beginning becomes a Savior. Our Savior. My Savior. He was beaten. He was bruised. He was wounded. He was mocked. He was humiliated. He was forsaken. He bore my horrible sin. He did it for me. What I can do right here and right now is consider Him and live my life in the power of the Holy Spirit, a life that will reflect my Savior. In His suffering. In His death. In His resurrection. In His glory! Share your thoughts here friends.